0.15 Carat Diamond & Emerald Bamboo Ring in 18K White Gold . 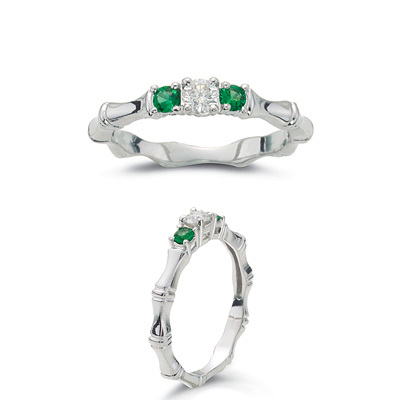 This is a beautiful bamboo three stone ring with center white diamond and Natural Emerald sides. 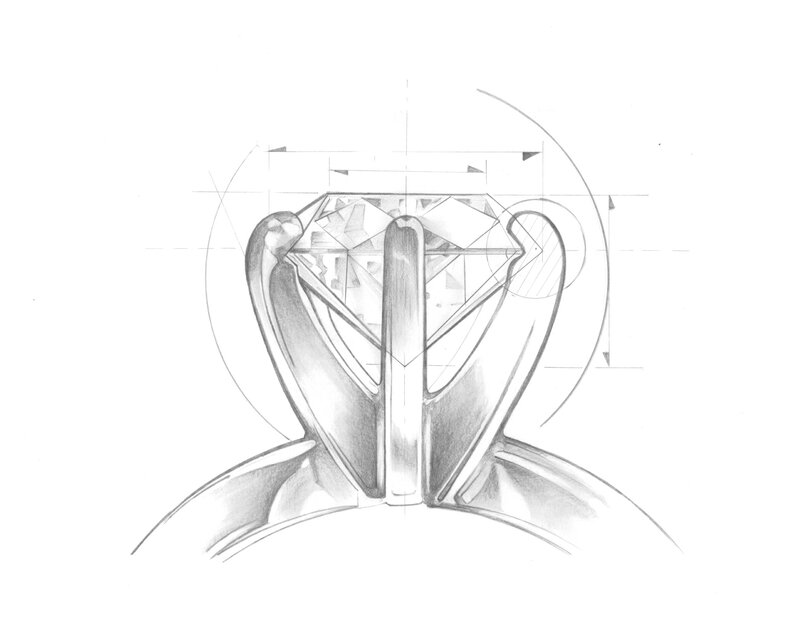 The center diamond weighs approximately 0.15 Carats and the side emeralds are 2.5 mm each weighing approximately 0.10 Carats TW.